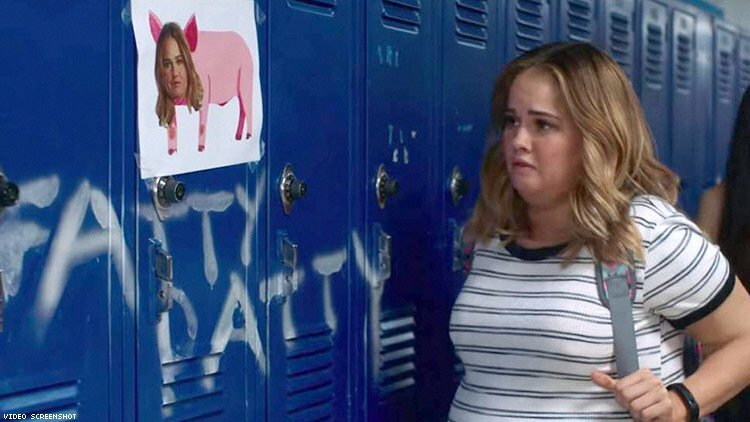 Insatiable, as I’m sure everyone reading knows, is a new Netflix show that’s received a lot of backlash. The premise is that the main character, played by Debby Ryan, was The Fat Kid in high school and after losing weight and being picked up by a pageant director becomes hell-bent on revenge. Below, four of our contributors discuss our views on this show, Riseponds-style. The minute the Insatiable trailer dropped I remember seeing dozens of people on Twitter going off about it. That led to the eventual petition by Florence Given to get Insatiable cancelled and removed from Netflix. The general consensus from the public was that Insatiable was fatphobic. And from the first trailer, it’s easy to see why. Having a character go from fat to skinny (or “ugly” to “pretty”, as they prefer to call it) is not a new trope and with all the strides we’ve made in body positivity lately, having a thin actor don a fat suit is just not in good taste. Many have critiqued that the show is more than the main character’s weight loss, but it doesn’t negate that what they’ve portrayed is harmful to fat people and those who struggle with their body image. When tackling fatphobia, writers need to be held accountable and think about how viewers will receive it. Trailers, especially, need to be thought through, as they’re the audience’s first glimpse into the show, which is why video editors should also be held accountable. Those responsible for writing the plot should have considered how people would receive it and also how themselves as writers could work to dismantle the fatphobic rhetorics. However, from the response to the show, it doesn’t seem like they’ve tried to do that in the first season. And despite the pushback, Netflix has still renewed Insatiable for a second season. And, to be honest, as it’s the same network that gave us 13 Reasons Why - I’m just not surprised. I just hope the writers take the time to read and understand the issues people had with the show and genuinely try to make a difference. I found out about Insatiable through Florence Given - she started a petition to stop the show being aired on Netflix because it “will cause eating disorders, and perpetuate the further objectification of women's bodies”. I decided I wouldn’t watch it to stand against Netflix’s decision to air it despite the the backlash it received. However, I explained why I didn’t want to watch it to my boyfriend and he suggested we give it a try - maybe the trailer was deliberately inflammatory, which doesn’t make it right, but it does pull people in. I’ve watched every episode. It’s trash. Yes, it conveys so many bad messages and will offend a lot of people - but what makes it less worthwhile is that it has no main plot and the things that Patty, the main character, does are just… troubling? I wonder if they had planned a solid personality for her - or if they thought about anything in this series at all. Kelly deVos asks herself what Insatiable is in her article, saying “it’s not just a weight-loss story. It’s not just a revenge story. It’s not even exactly about rage.” Another review that reinforces this and explains the show precisely is this quotation by Maria Sherman for The Muse, an online film/TV/media review publication under Jezebel: “Even calling Insatiable a television series seems to elevate it too much. If the through line is Patty’s interest in pageantry or her battle with her body, it’s abandoned and returned to, inconsequentially, in the form of cheap explication. Nothing is resolved. Nothing is learned. Patty is not only uninteresting, she’s not worth the emotional investment.” There are a lot of mixed messages concerning weight, e.g. the episode called ‘skinny is magic’ makes it unclear if it is or it’s not, in the show and as a viewer it’s hard to understand if the show is trying to be satirical or not. And if you have to question satire, then you’re not doing it right. The fatphobia is an obvious red flag. A fat suit -- really? And don’t even get me started about how harmful Patty losing weight is, after a fatphobic man punches her and causes her jaw to be wired shut. That would be a horrible and traumatic experience, and the fact that that narrative is used as a mechanism for Patty’s weight loss is insensitive and disgusting. Another issue that really bothered me was something Bob, one of the main characters and Patty’s coach, said in one of the first episodes. He was falsely accused by a mother of sexually assaulting her daughter: “He touched her hoo-hoo!” (which is already made out to be a joke by “hoo-hoo” rather than addressing the issue, if it did truly take place and wasn’t just a revenge claim on Bob). He replies in the narration that being accused and pleading innocence is almost as bad as actually doing it. This is wildly incorrect but also offensive and triggering to any person who’s been sexually abused themselves, or knows someone who has been. This isn’t the only time sexual assault is talked about lightly; sexual assault and molestation is used as a running joke throughout. In another episode, Bob says in regard to the claim: "The accusations were false. I'm a champion of women, especially young women. I want to touch as many of them... as I possibly can." Obviously making fun of the two meaning of “touch” to make it seem like he’s said something different from what he means. Thus, deliberately implying sexual intimacy with young girls rather than inspiring young girls - making light of sexual assault and the weight of it. However, if there are people who have watched the series reading this, they may think “but what about the drag queens, or trans women, or Dee - a black, fat body-positive, queer woman - and the LGBT+ inclusivity of the show?” First, I liked the scene with the trans woman and Patty about accepting their bodies - I think the way it was written was appropriate and meaningful! (However, there are issues with comparing a trans woman's dysphoria with Patty's.) Secondly, in relation to the queer relationships, Patty's best friend - Nonnie - makes sexual comments about the relationship between the two, which I thought made Nonnie seem predatory. This, definitely could have been handled better. Lastly, I thought Dee's character was awesome! Although I was kind of disappointed that she has so much talent and confidence but didn't win the beauty contests. It perpetuated the view that a person can have so many wonderful things going for them but if you're fat then you can't achieve. I’d say that, of course, representation is good - and if you enjoyed said representation, then I’m glad you got something positive from this show. But the fact is that a couple positives can’t outweigh the negatives. For example, with the Heathers reboot, one of the “Heathers” were non-binary - and there is so little non-binary representation. 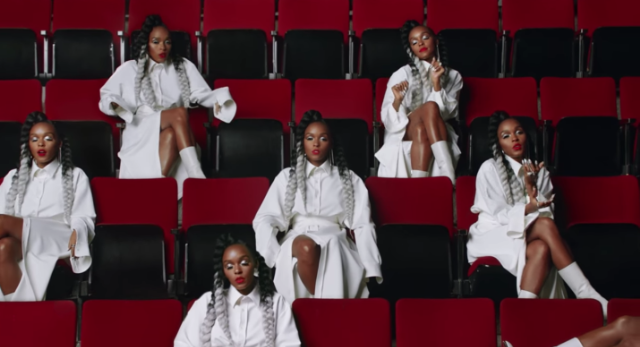 But that show still wasn’t endorsed because of the confusing and damaging messages gathered from the trailer, and from those who saw the pilot. Reviews should balance out the pros and cons - but ultimately, Insatiable does more harm than good. Some people seem to believe that the controversy around Insatiable isn’t such a big deal. Like, it’s just a fatsuit, right? But fatphobia is a very real and very damaging. Fatphobia refers to the ingrained, systemic oppression of fat bodies. Being overweight is associated with laziness, unattractiveness, unhealthiness and is generally seen as a reflection of that individual’s bad character. Fat bodies are denied the right to exist as people - they instead are reduced to a number on a scale, and an array of health problems. Let’s break this down. Firstly, commenting on anybody’s health is super invasive. You don’t know their genetic make-up, or their living conditions, or their habits, diets, medications, etc. You know literally nothing about them. But when it comes to fat people, everyone is a medical professional. Let’s clear one thing up right away: fat doesn’t equal unhealthy, in the same way skinny doesn’t mean healthy. This is a lie we have been taught by a society determined to buy into low self-esteem. Losing weight doesn’t make you instantly healthy or happy - they just want you to buy that flat tummy tea (a literal laxative). We are all built differently, and thus are meant to look different. Sure, certain health conditions may be associated with being overweight - but remember that a person developing a health condition or a disability shouldn’t reflect on how you treat them. It’s honestly amazing that this even needs to be explained. Your health doesn’t reflect your character or worth as a human being. If you think it does, then you’re ableist, and you need to re-evaluate your judgements. Further, our mental health matters, too. Eating disorders have the highest morbidity rate of any mental illness. Do you really think fatphobic attitudes don’t feed into this? A show about a girl who loses weight by literally getting her jaw wired - not being able to eat - is so, so triggering and dangerous. It’s as irresponsible as it is ridiculous. I wish I could say that growing up, there was good fat representation and body positivity in the shows and films that I consumed, but it was pretty much non-existent. Undoing the negative effects that popular media had on my mental health and relationship with my body is an ongoing process that has taken several years to get to a point in which I can comfortably reflect on everything. MMFD is a British comedy-drama television series based on writer Rae Earl’s diaries which she kept as a teenager in 90s Lincolnshire. The series follows Rae who has just left a psychiatric hospital after four months and portrays mental illness in an accurately honest and genuine way, without glamorising it or letting it define Rae’s character. Rae goes through the motions of adolescence in all its awkward glory, from crushes to making friends, whilst managing her mental health and body dysmorphia on a daily basis. The show is among the most diversely casted on television, featuring women in a plethora of body types and backgrounds. But what makes OITNB a good show is how it gives all the women in the series an opportunity to exist as the multifaceted beings that they are. The characters are not defined by their weight, but rather by their separate identities and stories. Seeing characters like Taystee, Cindy, Big Boo and Daya among others not being used as comic relief because of their bodies is a breath of fresh air. Tracy Turnblad is a boisterous, smart and likeable character who is confident and knows what she wants. A talented dancer, she keeps up with the thin bodies in the musical and does not feel the need to change her body to ‘get the man’ of her dreams. Too many films share the tired storyline of a character having to transform and cater to societal expectations to get what they want - Hairspray doesn’t entertain this idea for a minute. She is a bestselling author and blogger who uses her platform to spread body positivity and speak about her experiences as an anorexia survivor. Megan speaks about everything from LGBTQ+ rights and feminism to mental health, fashion, and the non-linear path to recovery; her posts are genuine, relatable and uplifting, but show her unfiltered reality living with mental illness. Jes Baker is an author, photographer, blogger and activist who’s memoir ‘Landwhale’ is an unapologetic collection of her struggles with self acceptance, romance and fat-phobic culture. She uses fat shaming as a tool to inspire her, and her instagram is littered with funny and inspiring quotes about fat positivity, as well as featuring various empowering photo campaigns and shoots she has orchestrated, which feature beautiful, strong, fat women being confident in their bodies and sexualities. Is a page created by La’Shaunae Steward ‘exclusively for unsigned models who don’t start at 5’8 & don’t end at a size 18’. The page gives a platform to unsigned models from a plethora of different body types and backgrounds to help them get scouted. It is refreshing to see a page comprised of so many different types of models and not the cookie-cutter ideal of agencies we’re so used to seeing on instagram. Chromat’s website describes itself as an ‘Architectursl swim and athletic wear designed for strong, powerful women, femmes and non-binary #ChromatBABES’. Founded in 2010 by Becca McCharen-Tran, Chromat fuses architecture and fashion, creating innovative designs which enhance the body’s performance, regardless of shape and size. Trans casting choices for her runway shows have made headlines for how ‘progressive’ they are, featuring models of different gender identities, abilities, sizes and races - a far cry from the primarily thin, tall and white casting choices of many high-fashion brands. Fatgirlflow is a blog created by Corissa Enneking which is a self-described intersection of plus size fashion, self love and a celebration of fat people. Corissa writes about everything from tips on shopping for plus size clothing on a budget and mattresses for plus size people to her personal anecdotes and articles. The Everyman Project is a visual series, which includes men in the conversation of diversity and body positivity. Their feed features various male models of different shapes, sizes and backgrounds partaking in beautiful shoots celebrating their bodies and identities. The visually stunning pictures aim to dismantle toxic masculinity and allow men to be more than just one-dimensional beings. I Weigh is a platform and movement created by British TV Presenter, radio host, actress, activist and model, Jameela Jamil. The instagram page allows people to post photos in which they celebrate all the aspects of their identity that make them valuable and important - beyond how much they weigh on a scale. Jameela describes the campaign as way more than body positivity, but life positivity too.